Anyone looking for proof that vulnerability draws us to people, should watch Channel 4’s recent documentary series Educating Yorkshire. 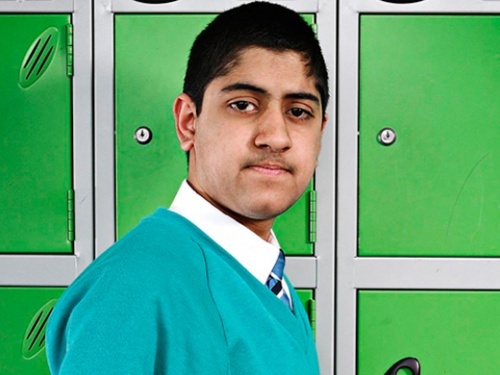 As part of the British TV show we are introduced to Musharaf Asghar (aka “Mushy”), a 16-year-old preparing to take his GCSEs and dreading the oral part of his English final. Mushy is a polite and popular kid with a keen sense of humor and an acute stutter. Tellingly, Mushy has been that way since year seven. Back in year seven he was cutting school and close to dropping out, beaten down by bullies. His teachers “clamped down on that teasing right away” and watched as he “absolutely flourished” in the new safety net of his school. It is clear that they are not exaggerating. With his stutter in tow, Mushy is brave and funny and full of self-belief. On the show we watch him time and time again put himself in positions where he has to talk. We watch him put his faith in the teachers that respect him in turn. None more so than his English teacher, Mr Burton. In an effort to help him get through his oral exam, Mr Burton draws on a ‘technique’ he saw in the movie The King’s Speech. He encourages Mushy to put on headphones and listen to music while he talks. We watch as he takes his teacher’s advice and his stutter decreases. The program ends with a clip of Mushy delivering a speech to a cheering assembly of 200 classmates with large, white headphones framing his beaming face. While the program turned both Mushy and Mr Burton into national heroes, the reactions of some stutterers and speech therapists have been more circumspect. They are not surprised that his stuttering decreases with the headphones playing music into his ears, it is well known that masking your voice tends to increase fluency. Rather, they question how sustainable it is to speak to the rhythm of a song. Some point to the way Mushy taps out his words with his hand hitting his leg throughout the show, and question the speech therapist who taught him to do so. Rather than a show that depicts the latest ‘miracle cure’ for stuttering, Channel 4 has created a program that teaches us how to love each other a little better. Mushy is not ‘fixed’ at the end, that is not the story arc we are watching. But we are talking about triumph, about those small, everyday triumphs that accrue over the years. Mushy, just like the rest of us, is in it for the long haul. For all the minutes and hours and days after the camera has stopped rolling.